Everyone who reads likes Free books, right? 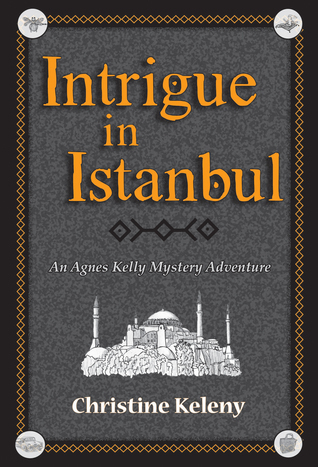 Intrigue in Istanbul: An Agnes Kelly Mystery Adventure! If you like Alan Bradley’s Flavia de Luce, you’ll like Agnes Kelly. She’s the 1960s American version of Flavia with a love for looking things up. This is the first in the Agnes Kelly Mystery Series. Sign up for my readers group and I’ll also give you your choice of any of my books in an electronic format absolutely FREE! 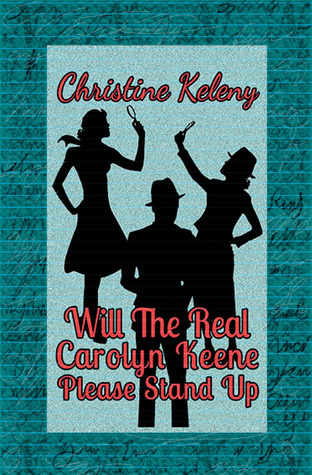 To connect with my Readers Group, just go to my book site christinekelenybooks.com. Don’t forget to share this with your friends on social media! Just like with all my other Nancy Events, there will be a costume contest and a trivia contest with prizes! Hint: No one has dressed up yet, so if you want to win a prize, that’s a sure way to do it! To further celebrate my latest book being a Midwest Book Award Finalist, it is currently on sale for 99 cents! And stop by Smashwords while you’re at it and get Rosebloom for FREE! Since it’s winter and there isn’t much else to do but read, I am offering two books for the price of one. Buy my book on Nancy Drew for $3.99 and get Rosebloom for FREE! And as a bonus to followers of this website or my writing/publishing website, you can chose from any of my other books for your second (Free) book. Just comment on this post and let me know you bought my Nancy Drew book and tell your preference for your second FREE book and I’ll send you the code or link to your FREE book! It’s that simple. I wanted to give a small gift to you – the followers and visitors to my blog. You can get my first ebook – “Rosebloom” for free! Yes, Free! And because I like you so much, feel free to share this sale with your friends and family! Nancy Drew Historical Fiction Giveaway! I don’t mean to inundate you with stuff about my Nancy Drew book, but I have to share this bit of news because it doesn’t cost a thing! For those who would like a chance at a free, signed copy of my Nancy book, just click the Goodreads link below and sign up. I’m giving away 8 free copies between now and July 25th. And if you’re not a Nancy fan, you might know someone who is, someone who would love to read about the inside (controversial) story behind Nancy.